Control switches remotely together with 16 Channel relay! RJ45 interface, via RJ45 telecommunications connection for network control. Support for 16 Channels relay which means you could controll more to 16 different devices at the same time. This is an Ethernet Controller board based on Imatic system which could be compatible with the 16 Channels relay. 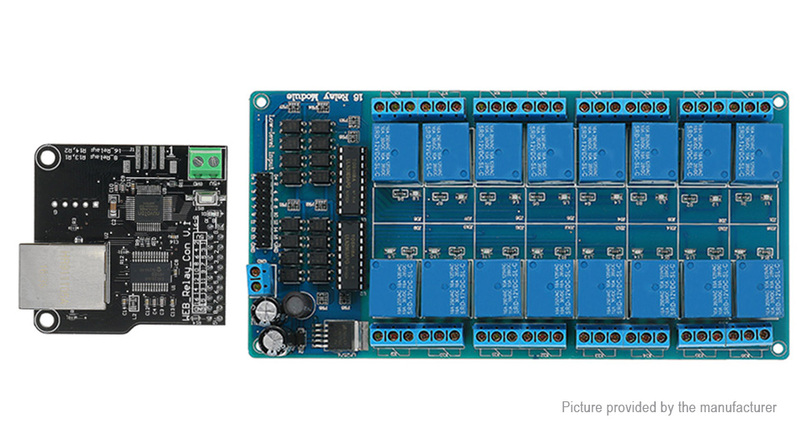 Using the controller module and the 16 Channels relay, you could control up to 16 devices remotely on LAN or WAN. The Ethernet Controller board has integrated the web server, when you are on your office, you just need to open the page on your computer, pad or smartphone, and then control your devices like lights, air-conditioning or refrigerator on your home. You can feel free to enjoy the remote controlling of your other devices with the ethernet controller board.